Members of the Marist Asia mission district gather to farewell former District leader, Fr Pat Devlin. 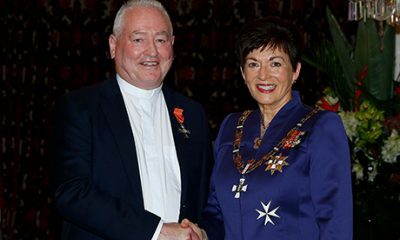 New Zealand Marist, Fr Pat Devlin, May 31, finished his six year term as leader of the Marist Asia Mission district. The District is particularly grateful to Fr Devlin for bringing it stability; for setting up structures, systems and policies that will sustain it and the Marist priests into the future. As someone who encouraged his fellow Marists to undertake on-going formation, studies and better equip them for ministry, the District, in a statement on their website, says Fr Devlin has harnessed the potential and gifts of its members. 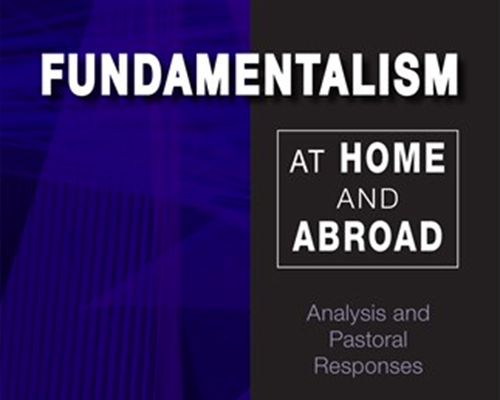 Shortly, Fr Devlin travels to Rome and becomes Secretary General of the Society of Mary. His appointment comes at the request of Superior General, Fr John Larsen, also of the District of Asia. 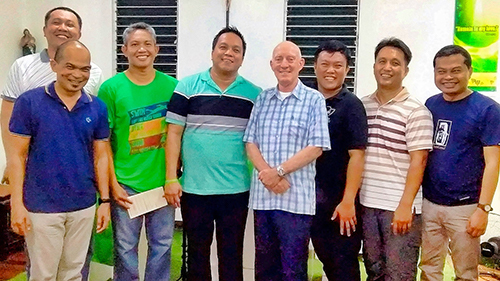 On June 1, Fr Chris Ganzon became the new Marist Asia District leader. Brother Denis O’Brien, arrived Monday, in Ranong, Thailand to join the Marist Mission team. 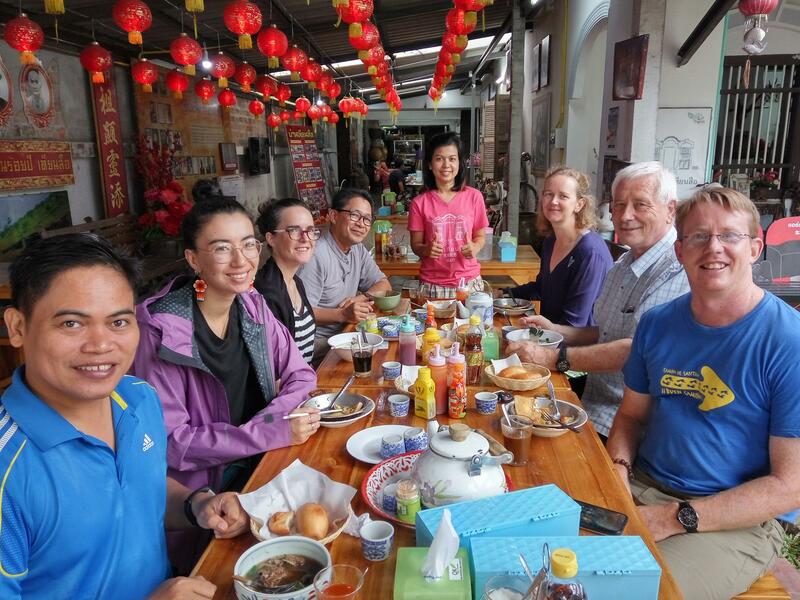 He was welcomed at a breakfast with the volunteers Tuesday morning at one of the oldest houses in Ranong. A 70 year old, Br Denis celebrates his 50th Jubilee of Marist Religious life this year. He plans a two year period of mission in Ranong. In New Zealand, Br Denis’ primary ministry has been in Māori Pastoral Care, and most recently he worked in Otara, Auckland. Education for over 200 Burmese migrant children. An HIV AIDS community-based health project for 75 individuals and their families. Support programmes for hundreds of Burmese migrant workers. The Marist Asia Foundation also works with Thai government authorities, other non-governmental organisations and the local Thai and Burmese community. Ranong is a fishing village in the South of Thailand, located opposite the southernmost town of Burma/Myanmar. 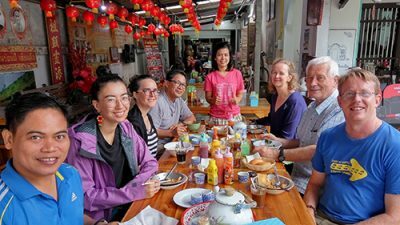 Along with a number of Thai, Burmese and international volunteers, Br Denis joins fellow Marists, Fathers Frank Bird, Gil Casio and Hermes Sabud in the mission. 2018 is the twentieth anniversary of the Mission Estate Winery’s environmental certification, and winemaker Paul Mooney continues to be extremely passionate about sustainability. Ahead of its time Mooney says “Mission is also being sustainable because it’s the right thing to do”. “The Mission’s focus is very much in line with Pope Francis’ commitment to sustainability”, he says. Mooney says that sustainability is just as much at the heart The Mission Estate’s core values, as are Mission’s roots, and maintaining its commitment to being an authentic artisan wine producer. Quietly, he also admits that when it comes to sustainability, he is “wired that way … it’s like an obsession”. The Mission Estate now says they use a third of the energy of the average winery of their size. Mooney however is reluctant to claim Mission Estate is an industry leader. Rather, he feels The Mission’s approach to producing fine wines is to authentically and quietly work away on sustainability, and to take seriously Mission’s commitment to ensuring it leaves a small energy, water and resource-use operational footprint. 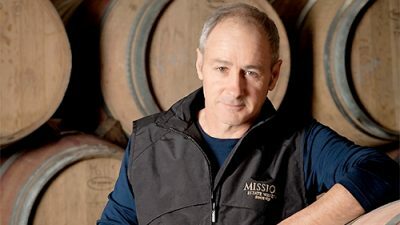 The Mission is one of the five wineries who ini­tially set up an Environmental Management System. In 1998 it obtained ISO Certification recognising its ongoing commitment to sustainable viticulture and wine-making practices; two elements that are now common practice. 1998 also saw Mission Estate starting to run some of its vineyard blocks organically. Further sustainability steps, including additional capital investment for a new winery, delivered even greater benefits. The success of these initiatives are are not only proving environmentally very positive, but the quality of Mission Estate wine is also improving. At Easter this year, Mission Estate won gold medals for the 2015 Jewelstone Syrah and 2017 Estate Pinot Gris picked up gold medals at the prestigious Royal Easter Show Wine Awards. 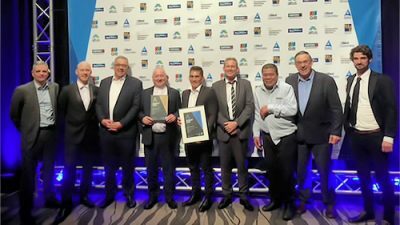 For the Jewelstone Syrah this award further cements Mission Estate as one of New Zealand’s top Syrah producers and it comes off the back of the 2014 vintage also winning gold at Royal Easter Show and Air New Zealand Wine Awards. In addition, the 2013 vintage won both gold and then went on to pick up the coveted trophy and the International Wine Challenge considered by many to be the world’s finest and most meticulously judged wine competitions. Mission Estate CEO Peter Holley says the sustainability focus is also financially rewarding, and ensures a positive return on invest­ment for shareholders in their support of charitable works in New Zealand. Key in Mission Estate’s approach to sustainability is the Society of Mary, (Mission’s owners) who established astute governance, with a Board and CEO who are genuinely supportive of the sustainability focus and initiatives. Outlining the move to sustainability, Mooney said Mission Estate started small and without modern technology. It set small projects to begin monitoring and measuring key components of their opera­tion from soil testing to energy use. “While these metrics are now common practice in the industry, they weren’t 17 years ago”, he said. With a degree of satisfaction Mooney notes that Mission’s modern technology means Mission constantly moni­tors the winery’s energy usage, including finding the “coefficient of per­formance” (COP) of their plant. “We have clear benchmarks in place across a number of measures and sustainability is now an integral part of the Board’s business plan”, Mooney says.